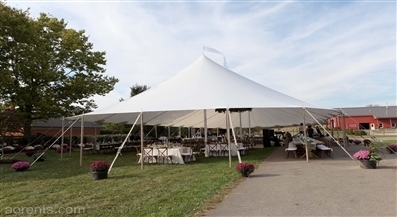 A tidewater sailcloth tent is a high peak style tent featuring rounded ends, a translucent sail cloth fabric roof and wooden side poles. 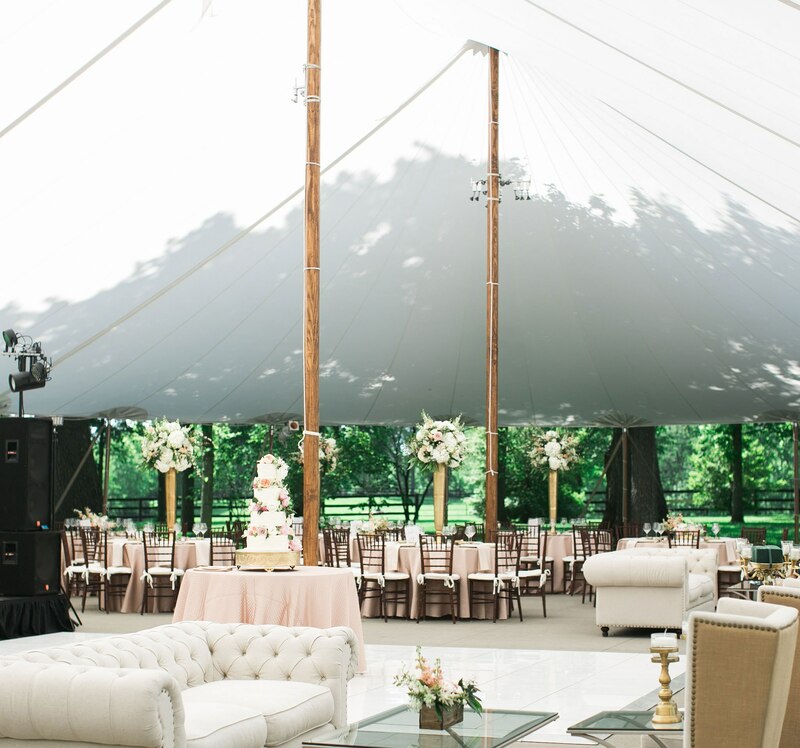 The sculpted peaks and eaves, with a hint of nautical flare, combine to create an open air event space. 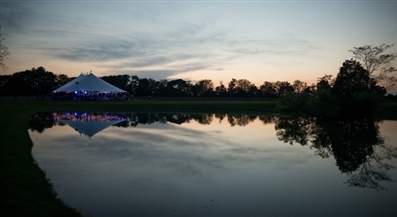 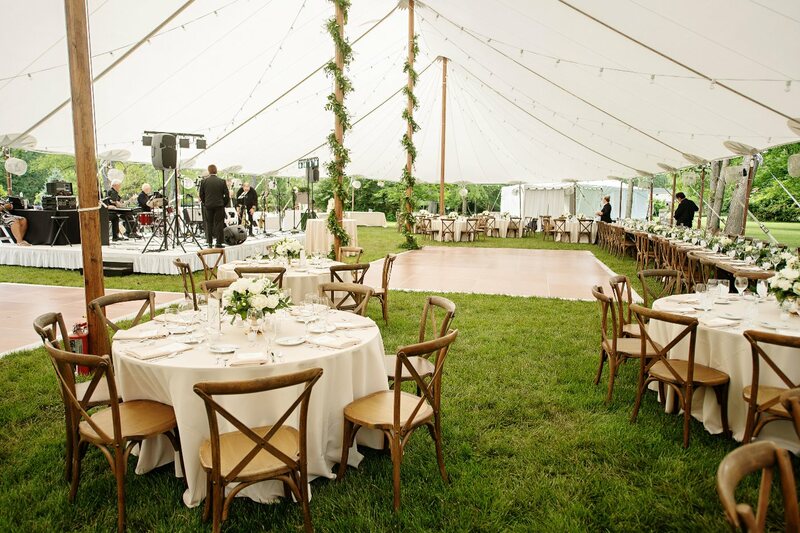 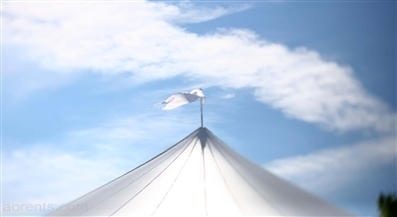 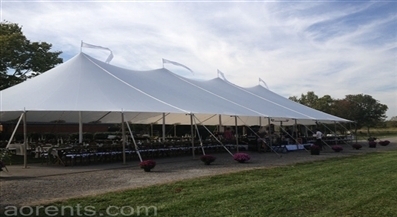 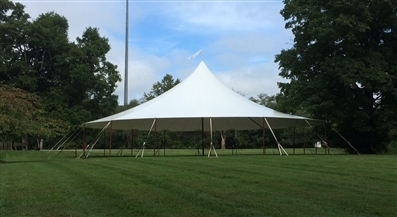 The Tidewater sailcloth tent fabric is waterproof and built strong to help assure your event is not affected by the elements. 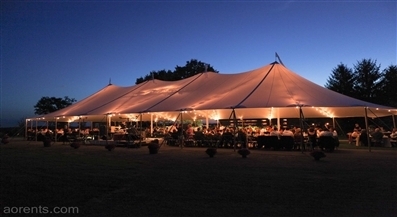 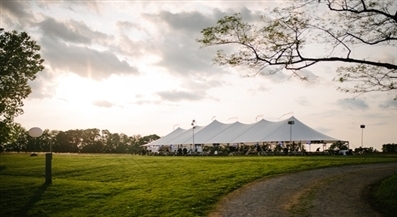 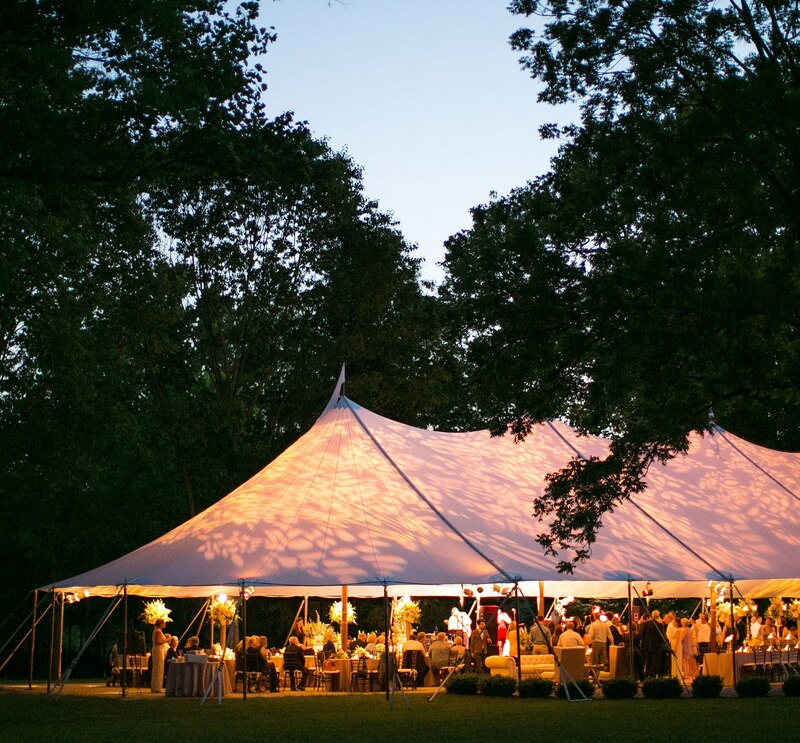 These tents are built from a lightweight sailcloth material which allows for warm, natural light during daytime events, and when lit, dramatically glows during evening and nighttime events. 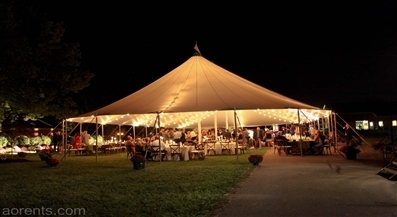 This type of tent must be staked or secured with concrete anchors, but cannot be secured with concrete ballast weight.